Expert Testimony Archives - В сложной финансовой ситуации приходит на помощь кредит наличными в Казахстане. Preserving an objection for appeal. Preserving an objection for appeal. Preserving an objection for appeal. Repeat again and again, because this is important. The lack of preservation of an objection is demonstrated in a criminal trial, Pierre v. Florida, 43 Fla.L.Weekly D1110b (Fla. 4th DCA 2018), which involved man wearing a ski-mask attempting to kill his ex-wife. 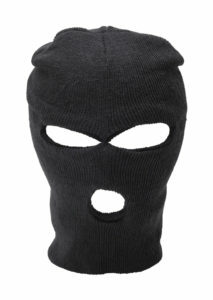 Of course, his ex-wife and son saw his face, but there was other evidence to support the attempted murder. The jury found that the man was guilty of attempted murder. An issue on appeal dealt with the scope of an expert’s testimony that tied the defendant to the scene of the crime. Prior to the expert’s trial testimony, the defense argued that the prosecution’s expert was going to be rendering an opinion outside of his expertise as demonstrated by prior deposition testimony. The defense argued to exclude this testimony. The judge held that the prosecution needed to lay the proper predicate (foundation) for the expert’s opinion, and he will entertain an objection at a later time. The prosecution’s expert rendered the opinion and the defense never renewed the objection. Because the defense never renewed this objection and there was never a definitive ruling on the motion to exclude the testimony, the defense never preserved this issue for appeal. Pierre, supra (“But because Pierre [defendant] then failed to renew his objection during Silvia’s [prosecution’s expert] testimony or obtain a ruling on his earlier motion to exclude the testimony, this argument was not preserved for review either.”). Moreover, the appellate court held that the trial court permitting this opinion, even if the trial court was wrong, was not a fundamental error (i.e., it was harmless error) because the jury could have convicted the defendant based on eyewitness testimony alone. Remember, it is important to preserve an objection for appeal, particularly if it will be the basis of a potential appeal. 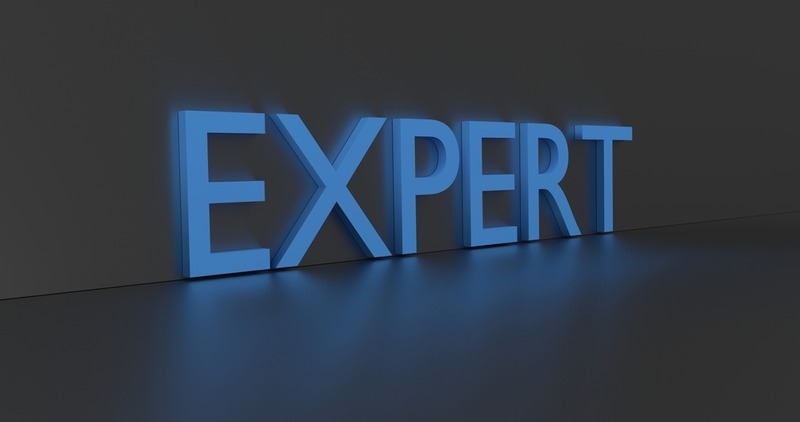 Expert Testimony / Comments Off on Is Your Expert Qualified to Render the Opinions? You retained an expert witness. 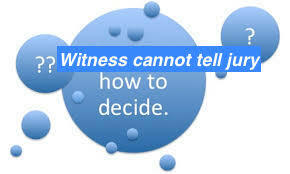 You want the expert witness to serve as a testifying expert — to testify at trial to help support a claim or a defense. But, is your expert qualified to render the opinions you want him/her to render? 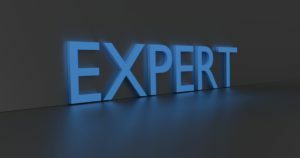 Stated differently, does the expert have the expertise, knowledge, skill, education, training, or experience to render the opinion (as required by Florida Statute s. 90.702)? 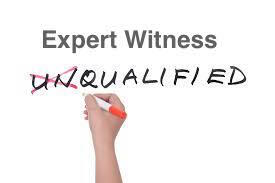 This is crucial since if he/she does not, he/she will NOT be qualified as an expert witness. 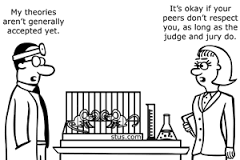 Make sure the expert you retain is qualified to render the opinions you want him/her to render. If not, you could wind up with an expert that either (a) is not allowed to testify or (b) testifies at trial which potentially results in a new trial due to an unqualified expert testifying. If you are going to raise a Daubert objection or challenge (or request a Daubert hearing), you need to TIMELY do so before the expert witness testifies. A Daubert motion / challenge / hearing relates to the admissibility of an expert witness’ testimony. As you can imagine, this is an extremely important issue as many cases depend on expert witness testimony to support their burden of proof. Here, there was no timely Daubert objection, nor is there any indication that exceptional circumstances existed to merit consideration of the defendant’s untimely objection. As such, the trial court erred in granting the defendant’s motion. Accordingly, we reverse the order on appeal and remand so that the trial court may reinstitute the jury’s verdict. Because the defendant failed to make a timely Daubert objection, we do not reach the issue of whether the neurosurgeon’s testimony would have been admissible under Daubert. Preparing expert witnesses for deposition is vital. To this end, working with an expert witness to ensure their expert opinions fit within the context and theme of your case and burden of proof is equally vital. Not doing so can be fatal to your case. This can lead to unprepared testimony or opinions that may appear innocuous but are in fact detrimental to your claims. For example, in the recent opinion in Lesnik v. Duval Ford, LLC, 41 Fla.L.Weekly D281a (Fla. 1st DCA 2016), the plaintiff’s expert witness was deposed. The case involved a single vehicle accident where the plaintiff asserted claims against the dealership he purchased his used vehicle from. During deposition, the expert was asked specific questions and answered that he had no expert opinions as to those questions/issues. The Defendants filed a motion for summary judgment. In response to the motion, the plaintiff filed an affidavit of his expert. The problem, however, was that the expert rendered opinions in the affidavit that contradicted with his deposition testimony. In other words, he rendered opinions in the affidavit as to issues he previously testified that he had no expert opinions on. The trial court struck the affidavit based on the law that “a litigant when confronted with an adverse motion for summary judgment, may not contradict or disavow prior sworn testimony with contradictory sworn affidavit testimony.” Lesnik, supra, quoting Ondo v. F. Gary Gieseke, P.A., 697 So. 2d 921, 923 (Fla. 4th DCA 1997). The appellate court affirmed (explaining that reviewing trial court’s order striking the expert’s affidavit was an abuse of discretion standard of review and the trial court acted within its discretion). Previously, I discussed the employment litigation case of Mootry v. Bethune-Cookman University, Inc., 41 Fla. L. Weekly D146a (Fla. 5th DCA 2015) involving a terminated professor suing the University that fired him. Check it out here. In this case, the University called an outside counsel as an expert employment attorney that advised it in the termination of the professor. The lawyer testified that in her expert opinion the University had cause to terminate the professor. The appellate court held it was error to admit this testimony because the testimony was essentially telling the jury how to decide the case, particularly, that the University did not breach the employment contract with the professor because it had authority to terminate his contract. “‘Witnesses will be prevented from expressing their conclusions when the opinion only tells the jury how to decide the case and does not help the jury to determine what occurred.” Mootry, supra, quoting Schneer v. Allstate Indem. Co., 767 So. 2d 485, 488 (Fla. 3d DCA 2000). In another example, Schneer, the underlying issue in the case was whether the insured perpetrated a fraud in submitting an insurance claim. 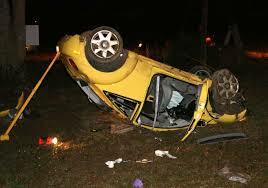 The insured had an expert that was going to testify that no fraud had been committed by the insured. This expert testimony was properly excluded since “it had the effect of advising the jury how to decide this case [i.e., that no fraud had been committed by the insured], rather than assisting it in determining what had occurred.” Schneer, supra. Considering and utilizing expert testimony is an important part of civil litigation. Courts are the gatekeepers when it comes to admitting expert testimony so make sure you understand the expert opinion you are seeking and the admissibility requirements for that opinion. If you have an expert testifying on your behalf at trial, the opposing party will ask how much you or your agents have paid the expert for his testimony. Why? Because this shows bias, right? The sentiment is that the expert is a hired gun being paid for his testimony; although, this cuts both ways in a case where both parties have a testifying expert. A party may attack the credibility of a witness by exposing a potential bias. A jury is entitled to know the extent of the financial connection between the party and the witness, and the cumulative amount a party has paid an expert during their relationship. Therefore, Florida courts allow extensive discovery of financial information to assist counsel in impeaching examining physicians and other experts by demonstrating that the expert has economic ties to the insurance company or defense law firm. Vazquez, supra (internal citations and quotations omitted). This is supported by Florida Statute s. 90.608(2) that allows a party to impeach (or attack the credibility of a witness such as an expert) by showing that the testifying expert or witness is biased. I am the prevailing party and I am entitled to recover my attorney’s fees from the opposing party! Now what? If you are unable to come to an agreement with the opposing side regarding the amount of attorney’s fees you incurred, then you need to have an evidentiary hearing for the court to determine your reasonable attorney’s fees. This requires your attorney to testify as to the rates and the number of hours expended on the matter. This also importantly requires to you to have an expert testify as to the reasonableness of the attorney’s fees you incurred. See Jaffe v. In re: Guardianship of Jaffe, 147 So.3d 578, 581 (Fla. 3d DCA 2014) (explaining that proving reasonable attorney’s fees must be supported by expert witness testimony). This expert is nothing more than another attorney that testifies that the rates are reasonable and the number of hours expended was reasonable. This expert is known as a reasonable attorney’s fees expert. The good news is that this reasonable attorney’s fees expert may be taxed as a cost against the opposing party. Travieso v. Travieso, 474 So.2d 1184 (Fla. 1985); accord Jaffe, 147 So.3d 578; Mangel v. Bob Dance Dodge, Inc., 739 So.2d 720 (Fla. 1999). 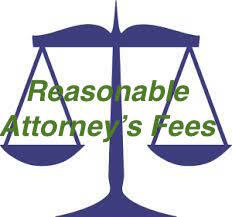 More than likely, a court is going to tax your reasonable attorney’s fees expert as a cost against the opposing party. Knowing this, a so-called losing party should try to avoid the evidentiary attorney’s fees hearing by coming to an agreement with the prevailing party as to the reasonable attorney’s fees. Expert witnesses can rely on hearsay (or inadmissible evidence) in arriving at their expert opinions subject to exceptions set forth below. Vega v. State Farm Mut. Automobile, 45 So.3d 43 (Fla. 5th DCA 2010) (expert automobile appraiser was entitled to rely on other persons knowledge in vintage automobiles to arrive at estimated value of vintage vehicle); Houghton v. Bond, 680 So.2d 514 (Fla. 1st DCA 1996) (expert allowed to rely on inadmissible study to arrive at expert opinion). If the facts or data are of a type reasonably relied upon by experts in the subject to support the opinion expressed, the facts or data need not be admissible in evidence. 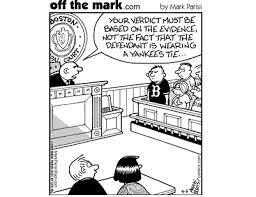 Facts or data that are otherwise inadmissible may not be disclosed to the jury by the proponent of the opinion or inference unless the court determines that their probative value in assisting the jury to evaluate the expert’s opinion substantially outweighs their prejudicial effect. The key, as set forth in s. 90.704, is that the inadmissible hearsay the expert relies on must be the type reasonably relied upon by experts in the field. See Vega, 45 So.3d 43. Yet, while the expert can rely on hearsay to arrive at their opinion, the expert cannot (a) serve as a conduit for purposes of getting into evidence otherwise inadmissible hearsay or (b) use hearsay to merely bolster the credibility of their opinion by testifying that a particular writing or other expert agrees with the expert’s opinion. See Duss v. Garcia, 80 So.3d 358, 364 (Fla. 1st DCA 2012); see also Linn v. Fossum, 946 So.2d 1032 (Fla. 2006) (expert not able to testify that he consulted with other experts as it effectively bolsters the credibility of the expert’s opinion based on hearsay); Department of Corrections, State of Fla. v. Williams, 549 So.2d 1071 (Fla. 5th DCA 1989) (while expert could rely on affidavit in forming opinion, the affidavit was not admissible to allow the expert to serve as a conduit to introduce inadmissible evidence). Typically, if an expert’s opinion is based solely on inadmissible evidence, there is a strong argument that the expert’s opinion is simply a conduit to introduce otherwise inadmissible hearsay. See Maklakiewicz v. Berton, 652 So.2d 1208 (Fla. 3d DCA 2009) (officer which served as accident reconstruction expert was not allowed to rely exclusively on hearsay to render expert opinion). Expert opinion testimony is important in many disputes. Parties rely on experts to help support their positions or theories of the case. Hence, knowing what an expert can and cannot rely on in forming their expert opinion plays an important part of the trial process. P.S. Wasn’t My Cousin Vinny a fantastic movie? Expert witnesses are an important part of civil trials (and criminal trials). Parties utilize expert witnesses at trial to render expert opinions. But, a testifying expert does not need to be at trial live (or, in person) to render an expert opinion. This means a party can utilize the deposition of an expert instead of calling the expert to the witness stand. The deposition is utilized by reading portions of the deposition transcript or offering portions of a videotaped deposition. This rule is designed to prevent a party from taking a deposition out of context and misleading the jury by reading or showing only select portions of the deposition versus allowing the jury to hear the “whole truth.” See Kaminsky v. Travelers Indem. Co., 474 So.2d 287, 288 (Fla. 3d DCA 1985) (“[W]here one party reads selected and prejudicial portions of the other party’s deposition for impeachment, it is error to prohibit opposing counsel from reading other portions of that same deposition in an effort to demonstrate the “whole truth.”); see also Mitchell v. Bonnell, 770 So.2d 1292, 1294 (Fla. 3d DCA 2000) (“We hold that Mitchell [plaintiff] had the right to present additional portions of Dr. Gordon’s deposition for the purpose of explaining, clarifying, and/or placing in context those limited sections presented by the defense by way of direct examination. The court’s failure to allow this was an abuse of discretion.’); Eggers v. Narron, 254 So.2d 382, 385 (Fla. 4th DCA 1971) (“When the plaintiff in this case elected to introduce into evidence a part of Eggers’ deposition, each of the defendants thereupon became entitled under this provision of subsection (4) of the rule to offer into evidence during the defendants’ case any other parts of Eggers’ deposition.”).